It's been a while since I last caught up with a friend, and we arranged a gathering at the Chairman (大班樓) - one of his favorite restaurants in town. As it's been a long time since I was last here, I was glad to have the opportunity to come back. Deep-fried crab meat and mushrooms dumplings (酥炸蟹肉香菇盒) - not a fan. Too greasy and mushy on the inside. While the shiitake mushrooms were nice, I didn't really taste much crab meat. Pan fried minced pork cakes with salted fish (馬友咸魚煎肉餅) - very nice. The pork patties were juicy, and the flavors of the salted fourfinger threadfin (馬友) were outstanding. Razor clams steamed with aged lemon and garlic (二十年咸檸檬金銀蒜蒸蟶子) - initially I thought this was just like the regular stuff you see at all the seafood restaurants in town, but that 20-year old preserved lemon really stood out. Very nice. Always love that minced garlic and glass vermicelli. Steamed fresh flowery crab with aged ShaoXing wine, fragrant chicken oil and flat rice noodles (雞油花雕蒸花蟹配陳村粉) - can't come here without having this. Tonight we got ourselves a "medium", which was maybe a little less than what I would have liked. Needless to say the crab was fresh; the sauce with Huadiao wine and chicken fat was incredibly fragrant and tasty; and mixing the flat noodles into the sauce was simply divine. Too bad we didn't ask for seconds. The Chairman's soy sauce chicken (十八味豉油雞) - very, very good. Tender and succulent meat, with very prominent flavors of herbs and spices. Yum. Wagyu beef brisket in white peppered beef broth (清燉澳洲和牛坑腩) - not bad. The brisket was pretty tender, while the radish was still firm and almost crunchy. Steamed kai lan with pickled Chinese vegetables (梅菜蒸芥藍) - pretty nice. Love it when they bring out the preserved leafy mustard (梅菜). Oxtail in Port and cumin (大班樓缽酒茴香牛尾) - so tender that the meat fell off the bone with a light nudge. Full-on flavors but didn't feel excessively rich. Inhaled in mere seconds. 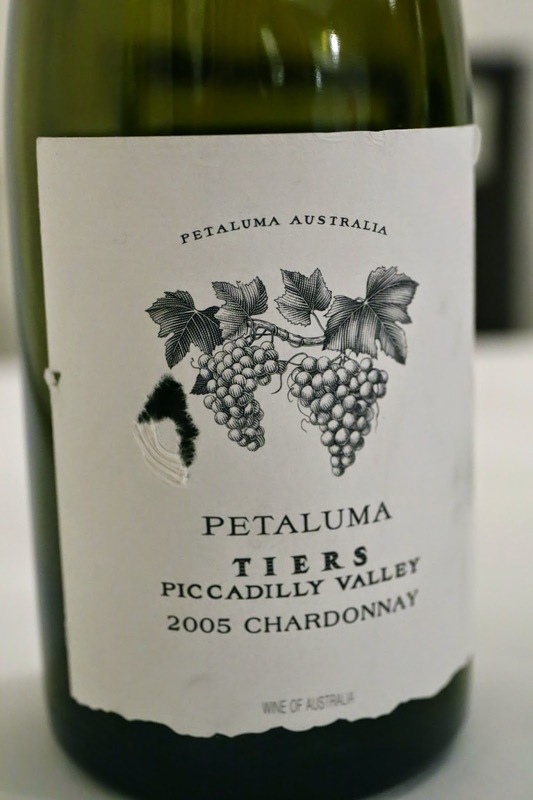 2005 Petaluma - a little corked, but we ended up drinking it anyway because the heavy oak kinda masked it. Very ripe, a little oxidized, caramelized and sweet on the nose, but slightly bitter on the palate. Also with some straw notes. Krug Grande Cuvée - love the ripeness of old reserve wines. 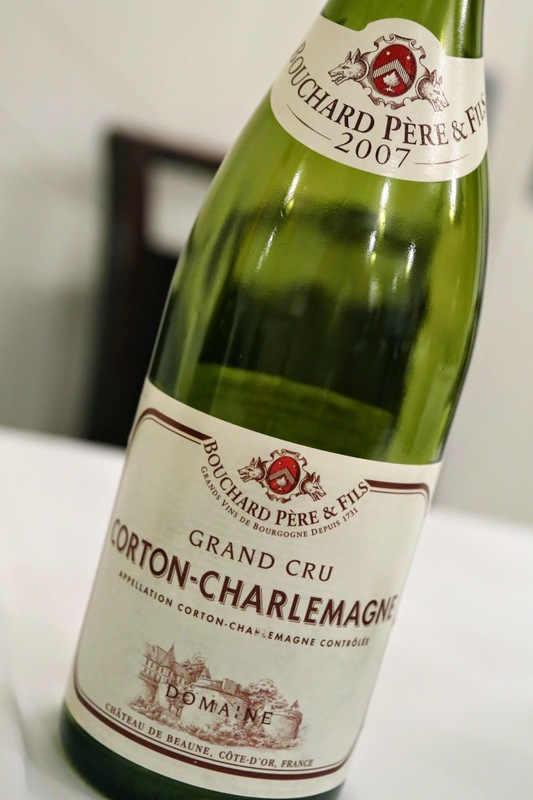 2007 Bouchard Corton-Charlemagne - ripe on the palate, and later on a little buttery. Slightly ripe on the finish. Heavy toast emerged after a while. 2002 Marquis d'Angerville Volnay 1er Cru Taillepieds - forest and potpourri notes, some sweet fruit. A little tight at first but starting to loosen up and drink well. 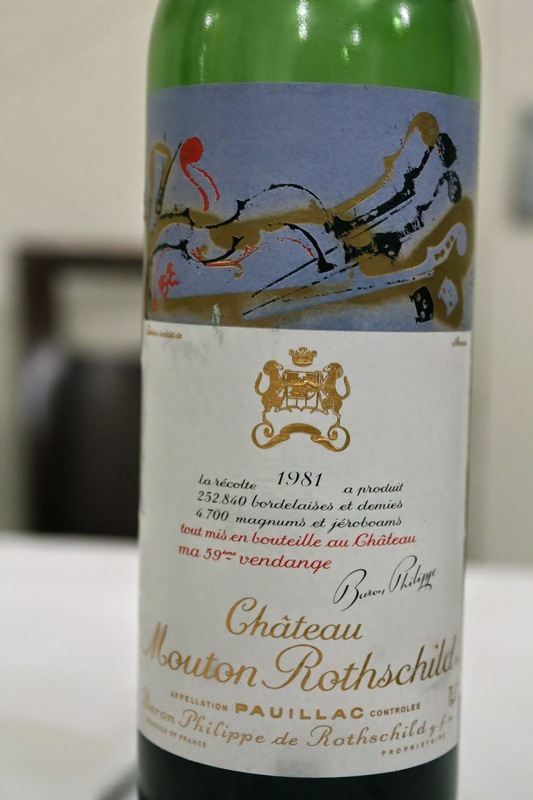 1981 Mouton-Rothschild - soooo classic. Very smoky, savory soy sauce, cedar, mint and dried herbs.